Allowing ample daylight into offices can be a good thing, as most people prefer daylight to electric light. Lighting control systems that save energy by dimming electric lighting with increased daylight levels have been available for years. But automated shading systems, which are well suited to controlling the uncomfortable glare that can come through windows, are a recent development. 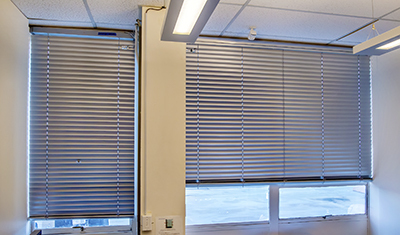 By integrating shading system and lighting control system operation, we can create comfortable well-daylit offices while minimizing glare from windows. To achieve this, Philips needed to develop and test the glare sensing technology as well as the software formulas – algorithms – to control the lighting and shading systems. 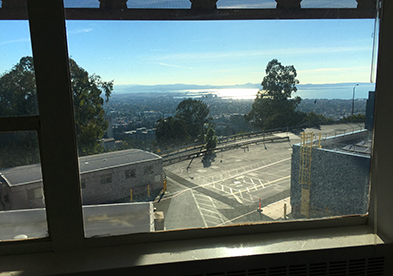 Philips enlisted Berkeley Lab’s expertise in daylighting and lighting controls for this effort. The FLEXLAB facility offered an indispensable infrastructure for both developing the glare sensor, as well as testing different control algorithms for the shading system and the electric lighting. Philips Research North America collaborated with Berkeley Lab to develop accurate glare-sensing technology. 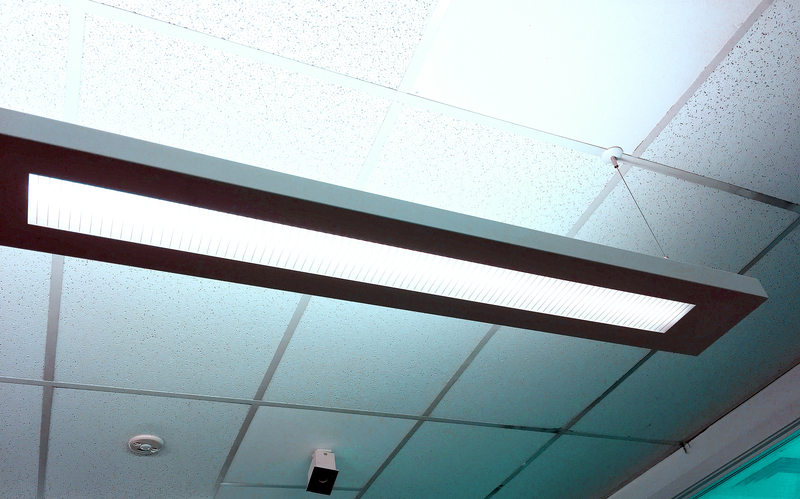 Then they incorporated it into an integrated lighting and Venetian blind control algorithm to maintain good task lighting while preventing daylight glare. Philips used FLEXLAB® to evaluate the control algorithm’s performance in an occupied testing environment with a southwest-facing façade – one of the most challenging conditions for glare control. FLEXLAB testing showed that lighting and shading systems can work well together to save energy while providing a comfortable and productive environment for occupants. FLEXLAB proved to be an excellent laboratory for testing integrated shading and lighting systems: A real office with real people working in it, equipped with state-of-the-art power monitoring and data acquisition infrastructure. FLEXLAB was particularly helpful for tweaking the operation of the shades so that comfortable conditions were provided for the occupants while minimizing distracting adjustments.